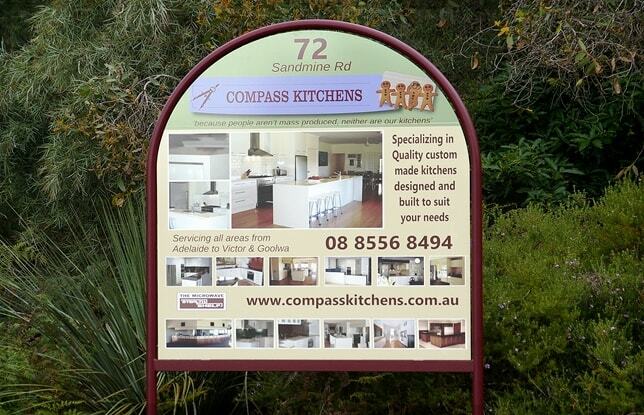 What makes a Compass Kitchens kitchen different? What Makes Our Kitchens Different? What sets our Cabinetry apart from the pack . . . 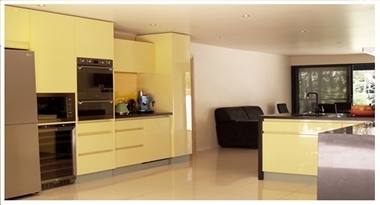 Choosing a Cabinet and Kitchen Manufacturer in Adelaide to Renovate your home or Kitchen can be a confusing time, particularly when different manufacturers use different construction methods, use different grades of materials, are less adaptable and offer different designs, features and layouts. It is because of these differences, we like to recommend that you apply the old adage, "Compare apples with apples", but realistically we understand this is not easy to do. With this in mind, Compass Kitchens hope it may be of help to you to know more details about the type of cabinetwork we produce, and what sets our product apart. It's true after all, "you do only get what you pay for". From the floor up we take great care in creating your kitchen; first we create a custom design specific to your needs and wants and then in the manufacture of your Kitchen we only use top quality materials and hardware. We give great attention to detail throughout your project and hand finish all components and then we only apply superior construction methods for your custom cabinetry and then complete this with our expert installation carried out by our own dedicated tradesmen to ensure your Kitchen is perfect in every way. Starting at floor level, our kitchens have continuous Raft Bases with solid ladder frame construction for an ultimate foundation. These raft bases are independent to our carcasses, which are then set up on top. All other base systems used today for kitchens fail to fully support the full load across the entire kitchen cabinets. By also making an enclosed Raft Base Foundation, all your cabinet ends and face panels sit up off the floor and are fully protected; making your floor easier to clean and eliminating any damage to your cabinet ends. Our Raft Bases also seal off the whole area under your cupboards, eliminating access of insects and vermin into your kitchen. Our Raft Base Design also has greater aesthetic appeal than other methods. We custom make all our own cabinet for your project. This enables us to design a balanced Kitchen with cabinet proportions that perfectly suit their application. This also ensures that you receive the highest standard of construction and quality finish throughout. For your internal cabinet carcasses we only use a fine textured laminate board; providing superior scratch resistance compared to the internal matt & satin finishes available. We only use 18mm thick laminated board for your cabinet carcasses; we do not use 16mm board. Architects will usually specify this 18mm board because it increases suspension strength by a significant 30% and providing even greater cabinet rigidity. We only use Highly Moisture Resistant laminate board for our carcasses and face panels, ensuring an even longer cabinet life. Our cabinet carcasses are edged with impact resistant, melamine resin edge-strip to help protect your shelving from accidental knocks. All your edge strips are cleaned up and finished off by hand. Removing all sharp edges and any overhanging resin, we guarantee your edge strips will never fall off, never catch, nor chip. All your carcass shelves have an additional 80mm wide stiffening rail; on edge, at the back. This rail is also edge-stripped and gives even more support to your 18mm thick shelving while also providing extra structural rigidity to your cabinet carcasses. We guarantee you that your shelves will never sag, bow, twist, or split. All our cabinet carcasses have backs that are glued and fixed into position guaranteeing you optimum cabinet carcass strength and rigidity. Compass Kitchens use a variety of adhesives on your job, including a special latex adhesive for all joints made with non-porous materials like laminate for maximum strength. Surprisingly enough some manufacturers don't use any type of adhesive at all in their carcass assembly. We guarantee you that all our joints will never come apart. For ultimate Benchtop support, our carcass design incorporates internal Solid Timber Top Rails. Our Solid Timber top rails give your cabinets added strength to support every type of benchtop material, from Laminate, Timber, to heavy Solid Surface and Granite Benchtop materials. We glue and waterproof our Benchtop joints together on-site. We polish and protect our solid Timber Benchtops, Doors and Panels on all sides, even the sides that don't get seen. We polish our Timber Benchtops on-site to ensure a continuous seal over the entire top. 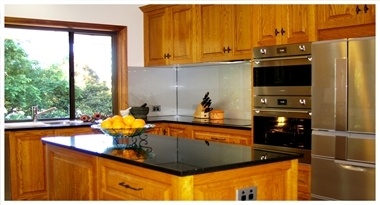 We also seal all our Granite Benchtops on installation. We only use quality 2-pack lacquers to polish, seal, protect, and stabilise our timber because it is more resilient than the single pack lacquers. 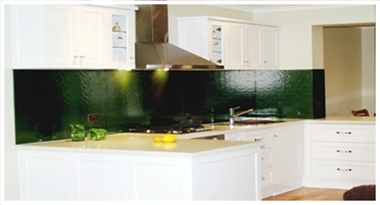 Two-Pack lacquers are very hard wearing and highly moisture resistant making them perfect for Kitchen surfaces. We only use the finest quality European and Australian made storage fittings and hardware products available. We custom make all our drawers with solid 18mm thick bottoms and walls - making full height sides that ensures your drawer's contents are fully contained at all times. 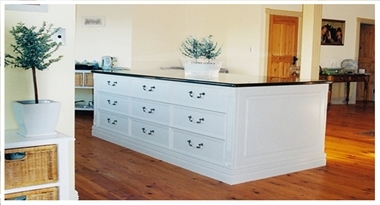 We also recommend the use of quality concealed Full-extension soft-close drawer runners. All our doors shut onto 2mm thick, soft urethane buffers for quiet closing. We use a type of buffer from Europe that is drilled then glued into position with its dowel. We do not use the, quick and cheap self-adhesive type, because they can eventually fall off and causing your doors to bang and twist. Our corner units have our own unique corner door hanging system that guarantees you superior door control and corner access. Our system eliminates any dropping, twisting, knocking, and subsequent damage, which can be inherent with the more common corner door hanging systems used today. We install Facure panels above your refrigerator that easily allow for adjustment if you change your appliance in the years to come. All our doors are made to an exact tolerance to provide a perfect fit. They are hand-finished, hand sanded, hand hung and set, allowing only the smallest of gaps between them. We offer to supply you your sink, taps and Kitchen appliances at trade prices. We coordinate all your Electrical, Plumbing and Tiling or Glass Splash-Backs, any Window Replacements and Structural Work for a complete and easy Kitchen Renovation. We treat your home like a home, not a worksite and we even clean up after ourselves. We truly Custom Design and Custom Build to suit your needs. We can make what you want. At Compass Kitchens we believe our individually designed and truly custom made kitchens represent excellent value for money with unbeatable quality, which will give you true peace of mind. We keep our overhead costs down and translate these savings into making a better product. Please contact us for a personal In-Home Design Consultation. Having now worked in the Adelaide Kitchen Renovation industry for over 30 years; we now look forward to working with your ideas and individual requirements to design and produce for you a beautiful quality kitchen that is fully functional and will suit your exact needs. If you are after quality workmanship and are looking for someone to who can bring your dream kitchen into reality; then why not give us a call today and arrange for a free in home consultation.